Very Good. 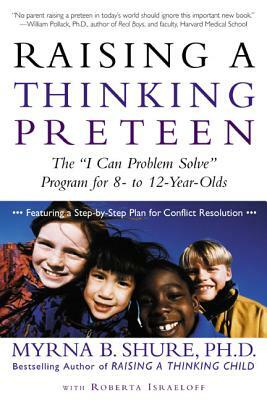 Raising a Thinking Preteen by Shure, Myrna B., 2001-04-01. Trade paperback (US). Glued binding. 254 p. Contains: Unspecified. Good. [ No Hassle 30 Day Returns ] [ Edition: First ] Publisher: Henry Holt and Co. Pub Date: 4/5/2000 Binding: Hardcover Pages: 256.